An AP report out of Breitbart states that Hezbollah's Sheik Hassan Nasrallah has fully equipped his group with rockets that can reach every part of Israel. He claims his arsenal has up to 33,000 rockets. Around this time last year, I blogged quite a bit about the Israel/Hezbollah war, and how in the end, everybody with a gun was a bad guy, and the only good guys were the innocent civilians desperately trying to get away. It just so happens that there were considerably more Lebanese civilians killed than Israelis - the article states that over 1,000 Lebanese (mostly civilians) were killed, whereas only 39 Israeli civilians were killed. Story after story about innocent Lebanese civilians killed came out, and while I feel that both sides were culpable in the fight, it's hard to feel bad for the side of the battle that's using cluster bombs and phosphorus bombs in public places where children can get their arms and legs burned or blown off. And that's exactly what happened. 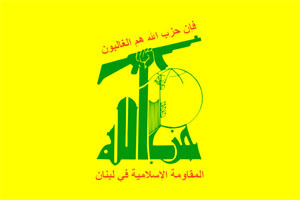 It's no wonder Hezbollah calls itself a resistance group. Last year's battle only helped to convince the Lebanese people of the legitimacy of Hezbollah (on top of the civic work the group had already done for the people, including the running and repairing of schools and hospitals), despite the western world's "terrorist group" label. However, when resistance turns into unprovoked aggression, it becomes difficult to maintain that position. "In July and August 2006, there wasn't a place in occupied Palestine that the rockets of the resistance could not reach, be it Tel Aviv or other cities," he said, describing Israel and the Hezbollah guerrillas in terms usually used by the group. "We could absolutely do that now," he added. Nasrallah has previously said his group increased its stock of missiles since the war ended, despite attempts to keep arms from being smuggled into southern Lebanon. In a speech in October, he said the guerrillas had 33,000 rockets—up from the 22,000 he said they had on Sept. 22. "We in the resistance have weapons, and we openly declare that we have weapons, that we are completing our preparedness for a greater and more dangerous stage," Nasrallah said at the time. Whether Nasrallah is just flexing his muscles or warning Israel to stand down from a future attack, the potential threat against Israeli civilians is clear.